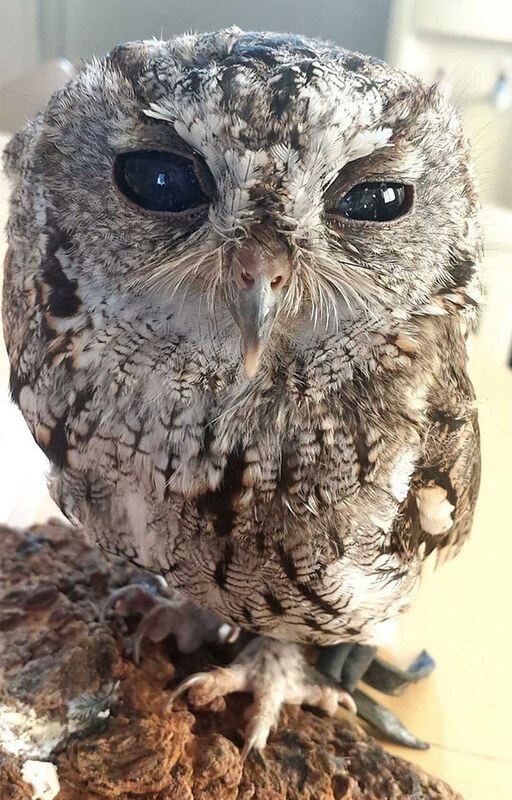 Meet Zeus, a blind Western Screech Owl named after the Greek god of sky and thunder. According to Bored Panda, a Southern California resident spotted a confused and injured Zeus on their porch. 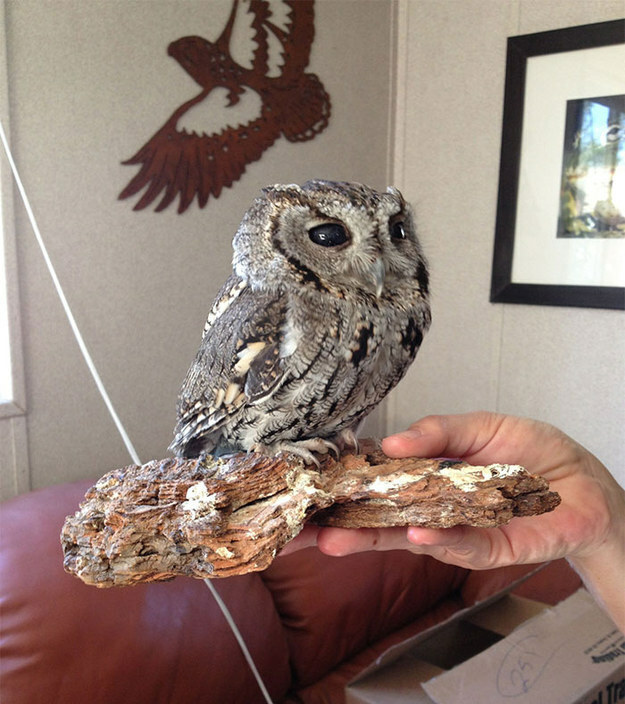 After a vet examination, Zeus became a resident at the Wildlife Learning Center in Sylmar, California. Due to his blindness, Zeus cannot be released into the wild, according to Bored Panda. The Solution: He lives in a trunk beside Wildlife Learning Center founder Paul Hahn’s desk. 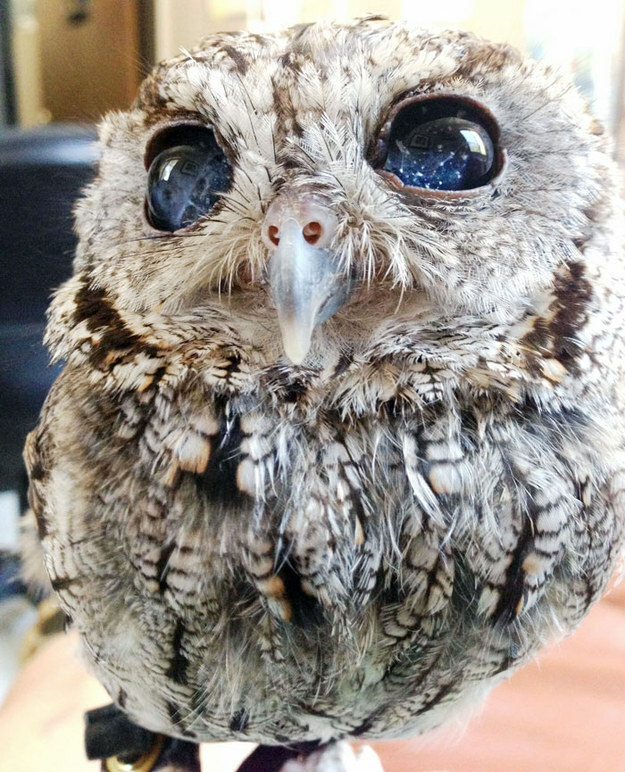 How Hedwig is that?! And this winged Tiresias might just be the sagest bird of his breed. “Zeus exudes a very peaceful presence and is very calm. He has a very big personality and exhibits a bit of a curious nature,” Hahn told Bored Panda. Since his cataracts will keep him from returning to the wild, visitors can be sure to get some face time with Zeus at the Wildlife Learning Center.